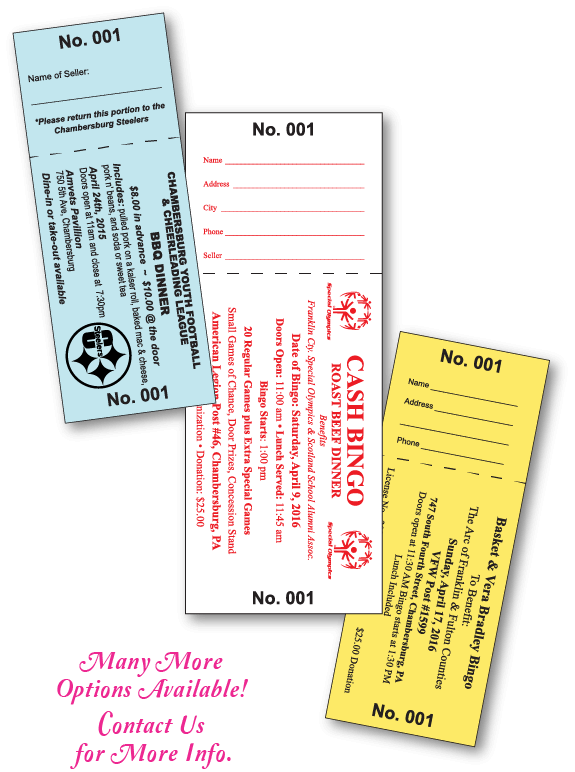 Raffle, admission, event or drawing, tickets can come in many sizes but our regular raffle ticket size is 2 ⅛” x 5 ½”. You can choose from among nine different standard 67# colors with a black ink imprint. These tickets come with a double number and a perforated pull off stub. There are many other sizes, paper and ink options to choose from at additional costs.